But what are limits today will soon become opportunities, as health systems sit on mounds of data ripe for integration into AI and machine learning tools. Early adopting providers such as Sharp Healthcare and UPMC have been keen on seeing how far they can push the complex but extraordinarily helpful technology today, knowing that AI will play a much bigger role in their organizations tomorrow. In addition, Sharp HealthCare recently completed a proof of concept to develop an algorithm to predict patient decline in the acute care setting by analyzing its electronic health record data to see when rapid response teams are called in to intervene on its sickest patients. Instead, Sharp has what MacLaren said is a tremendous amount of excitement from clinical leadership about the potential to prioritize patients and close the value-loop on clinical documentation. By leveraging what is charted in the EHR to create a patient risk score that is valuable to the clinician, Sharp HealthCare is showing that its documentation provides concrete value beyond being able to accurately bill for services rendered. “The other benefit we expect to achieve will be to leverage this tool to prevent patient decline and reduce in-hospital morbidity and mortality, thus improving the lives of the patients we serve,” MacLaren predicted. At the $16 billion health system UPMC, meanwhile, IT and clinical staff are sitting on mountains of data ripe for AI tools. As is the case in all of healthcare and in other industries, UPMC is in the very early stages of these efforts. For instance, the health system is pursuing technologies that could allow for significant improvements in patient health and care quality by eliminating inappropriate medication use. By leveraging advanced analytics capabilities, the health system can predict individuals’ risks of specific medication outcomes and quantify the financial value of better medication use while accurately assessing individual receptivity to intervention, Shrestha said. UPMC has a variety of data-oriented AI projects happening in its 30-plus hospitals. On the clinical side, for example, the health system has developed AI-based algorithms to better define patient populations by doing pattern recognition and clustering that has allowed the provider to do more precise phenotyping. This has enabled UPMC to develop risk prediction algorithms in different conditions. For congestive heart failure, UPMC identified 19 sub-populations (“sub-phenotypes”) and is identifying patients who are at risk of multiple hospitalizations when UPMC caregivers see them in the office. This allows the health system to target the appropriate populations for more advanced interventions, like remote monitoring. In the asthma arena, UPMC saw 18 sub-populations and has identified patients at risk of asthma exacerbations, as defined by three or more emergency department visits in a year. And with axial low back pain, UPMC saw 10 sub-populations and can predict the patients most likely to have their symptoms improve after spine injections. 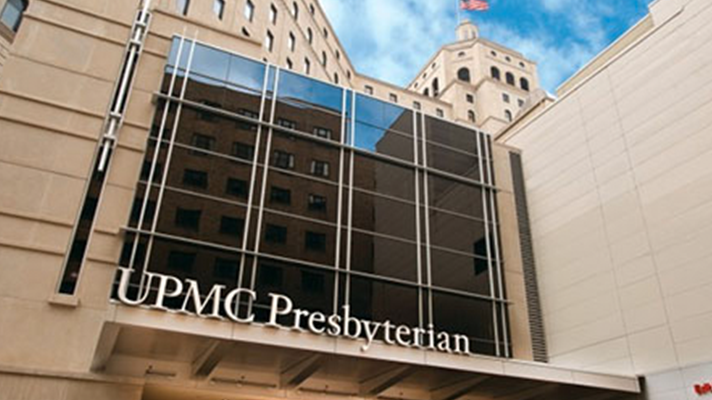 On the operational side, UPMC has developed AI-based algorithms to predict repeat hospitalizations for patients being discharged from the hospital. And the health system has developed algorithms to predict patients who will either no-show for their appointments or cancel within 24 hours of their scheduled appointment, which is one more tool that allows UPMC to more efficiently get same-day appointments into its system. Sharp HealthCare and UPMC are forward-looking organizations invested in artificial intelligence technology today and rapidly evolving AI systems to help them meet the Triple Aim of healthcare. So where do these providers that are ahead of the curve see AI heading in healthcare in the years ahead? That’s a big, and complex, question. As healthcare executives look a bit farther out, there’s a likelihood that artificial intelligence will play an even bigger disruptive role in healthcare, MacLaren said. It will most likely displace work that is currently being done by individuals, such as call centers, translation services, and quite possibly other work that leverages visual interpretations of data such as radiology and pathology, he added. UPMC sees tremendous opportunities in leveraging AI to drive a more natural interaction between the clinician and the technology stack that they use when providing care. Using AI and chatbot capabilities through its work with Microsoft, UPMC will make it so that clinicians will be able to more naturally interface with technology and get pertinent insights and document key facets of care in a much more streamlined and efficient manner, Shrestha said. That will free up their time and energies to interact more with their patients, Shrestha added.